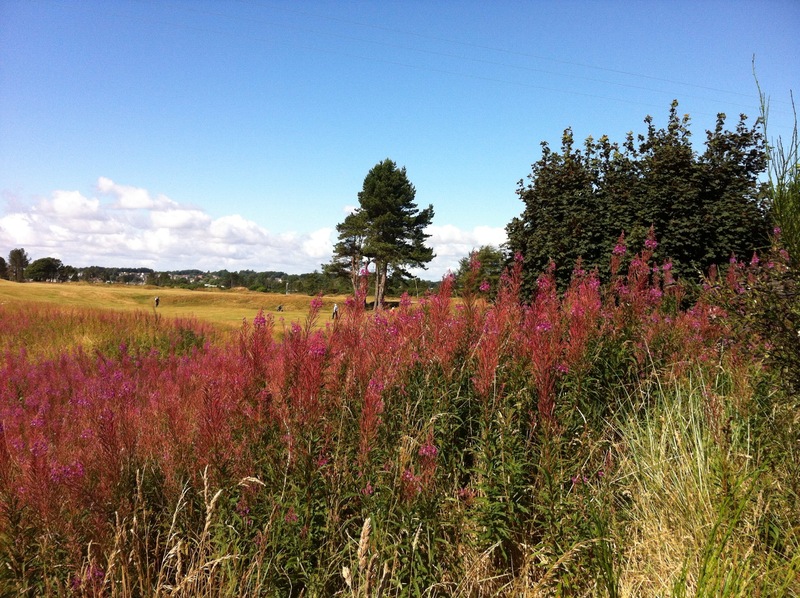 On Thursday we drove down to Panmure which is about 45 minutes from Edzell out on the coast to play golf at the Panmure Golf Club. 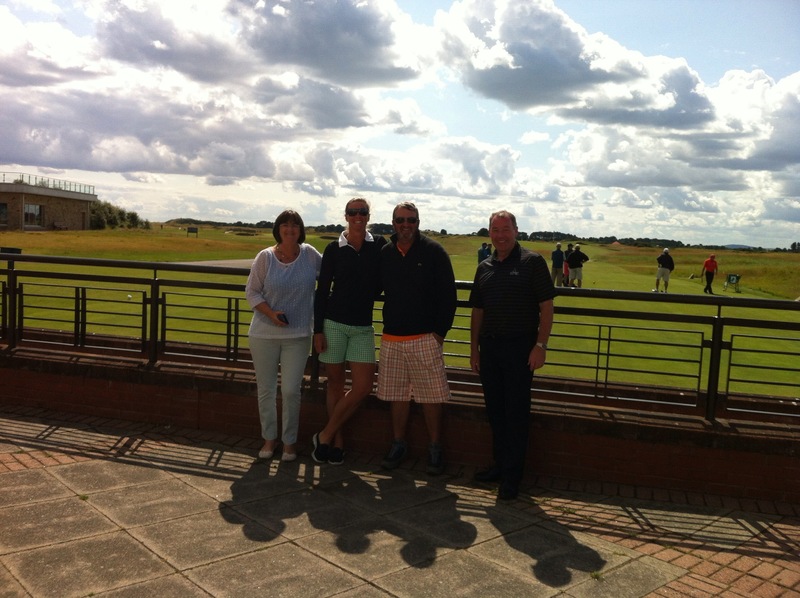 We were fortunate enough to be invited for a round by Jen’s (one of my besties back in NZ) cousin – David. Jen was born in Scotland but moved to NZ many years ago but she still has a number of relatives over here. 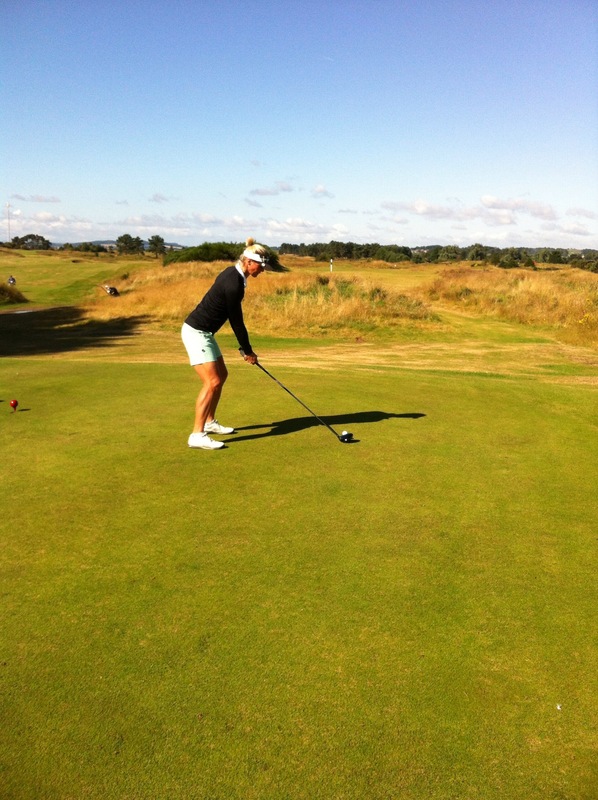 It was a glorious day and the Panmure Golf Course is lovely. I started off very well with a couple of pars but mid way round lost the plot a bit. Steve played very well and his short game was on fire. 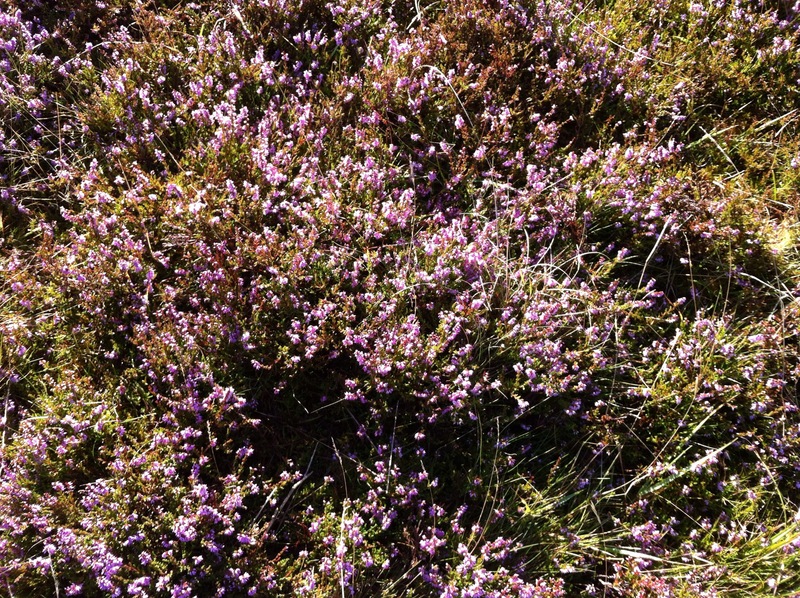 He reckons the greens were the best he has ever putted on – he wanted to bottle them up and take them home. I finished with a birdie so I’ll be back for the next round. 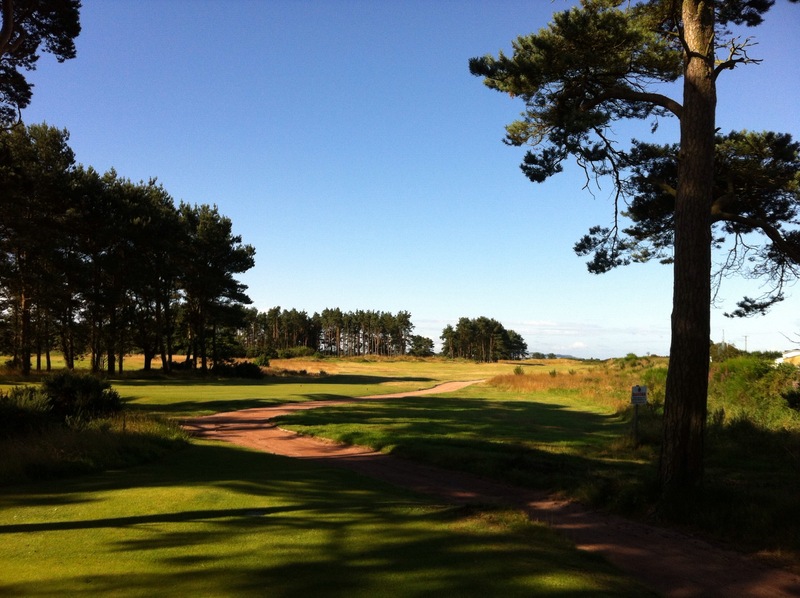 Panmure Golf Club is a golf club in Barry, Angus, Scotland. It is one of the clubs that originally helped purchase the Amateur Championship trophy, and is one of the oldest golf clubs in the world, dating back to 1845. 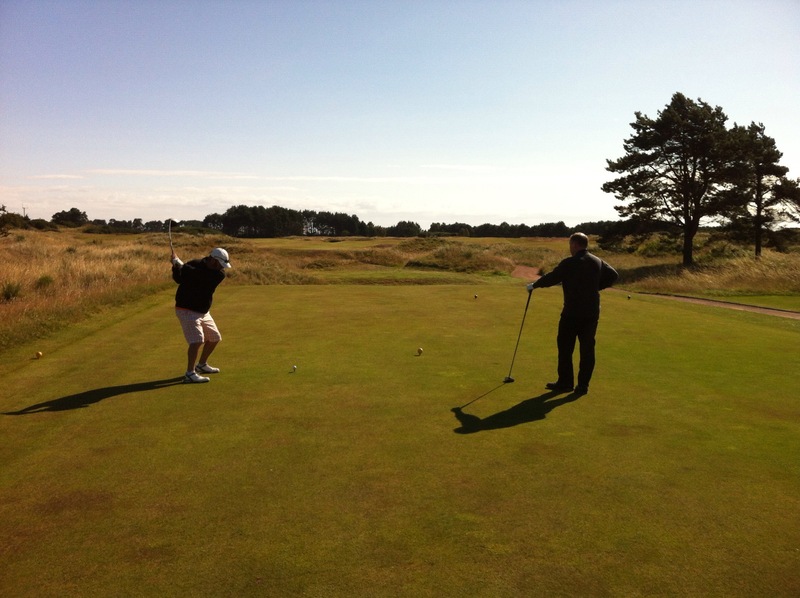 It is a private club that plays over the Barry Links, and is sometimes referred to as Barry or Panmure Barry. 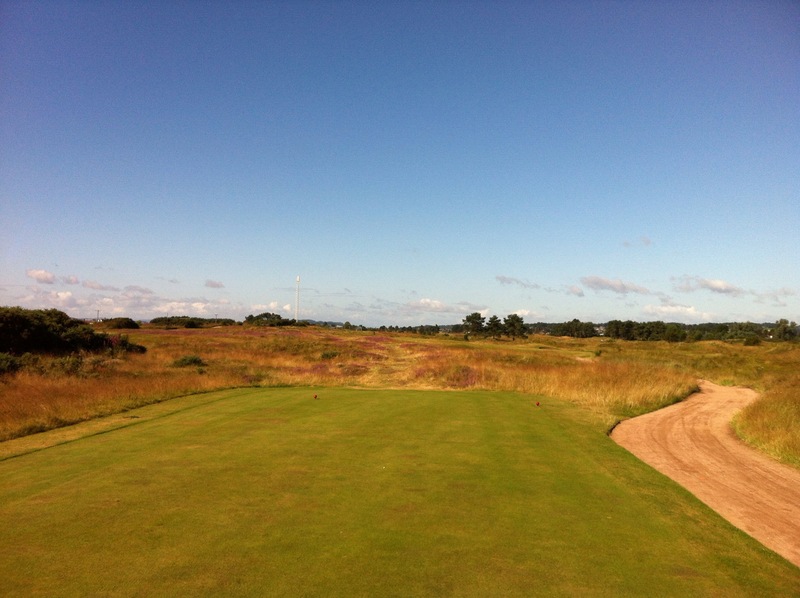 Due to its location next to Carnoustie it is often overlooked by visitors, and with the number of members limited to 500 it is one of the most underplayed courses in Scotland. 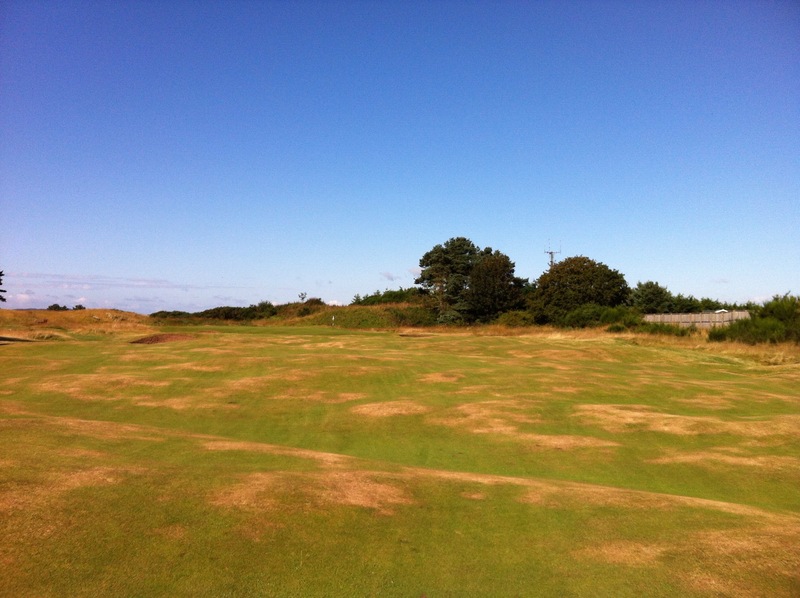 Although Panmure is a links course, it has some unusual features. 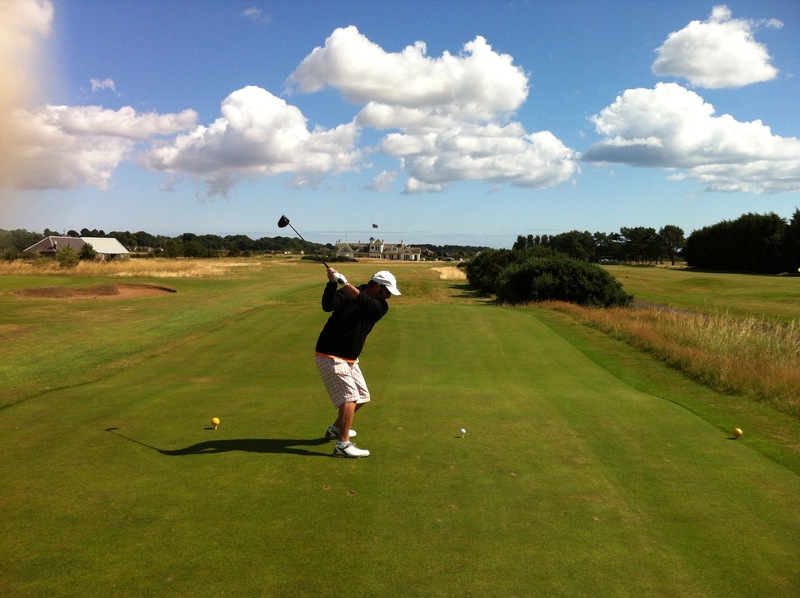 The course is a mile or more from the sea, and many holes have beautiful trees which rarely come into play but create an unusual backdrop to the rolling links holes. The first and last three holes are fairly flat although still interesting, but the middle twelve holes are classic links holes. 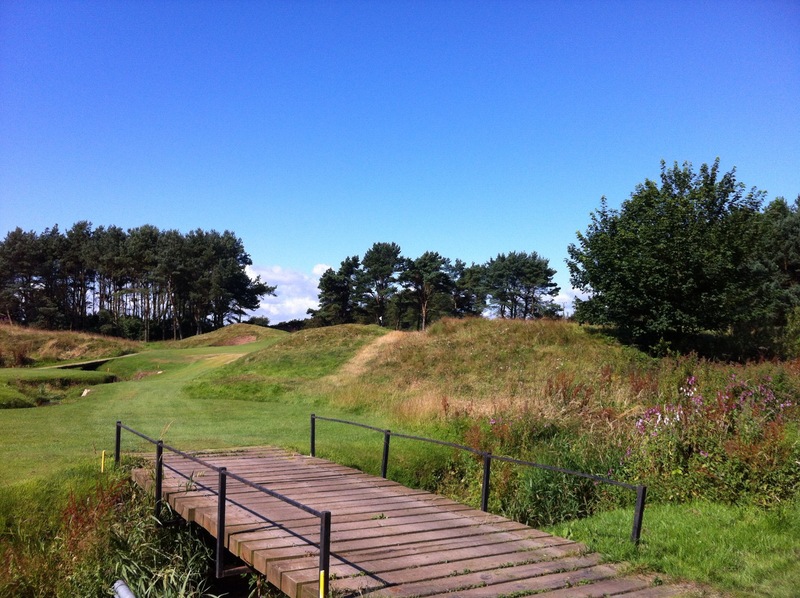 This is because the clubhouse had to be built near to a railway station, and the first and last three holes were needed to get to the land where the course was originally going to be built. It is also not a very long course at 6511 yards from the championship tees, but it proved to be the hardest final qualifying course for the 1999 Open Championship at Carnoustie. This is due to the well known barry rough that flanks every fairway, making accuracy from the tee essential. 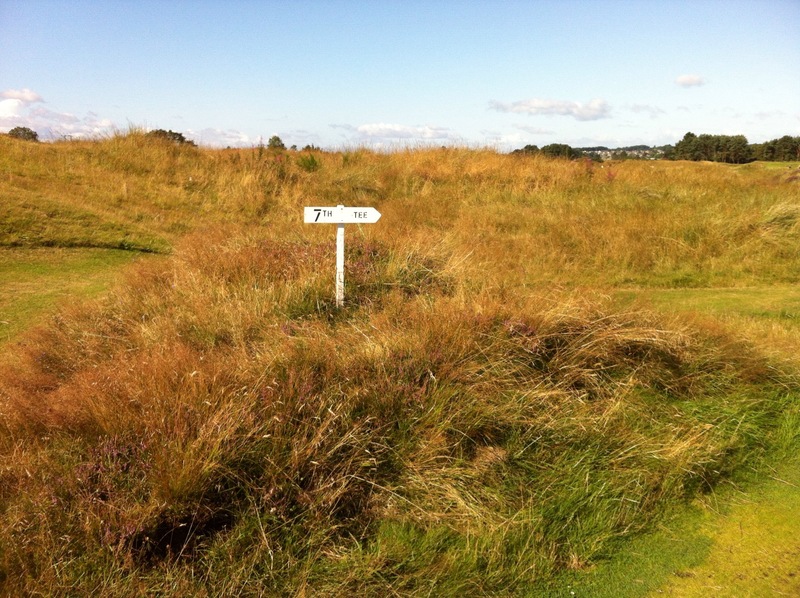 Panmure is famous for being the place where Ben Hogan practised away from the attention of the media, prior to his only Open Championship appearance at Carnoustie in 1953. On the sixth hole he suggested that a bunker at the front right of the green would improve the hole, and one was subsequently created, known to this day as hogan’s bunker. Hogan spent much of his time hitting shots to the 17th green, and one day he asked that the green be cut shorter to better simulate the conditions at Carnoustie. The head greenkeeper handed him a mower, and Hogan cut the grass himself, even cleaning the mower before returning it! 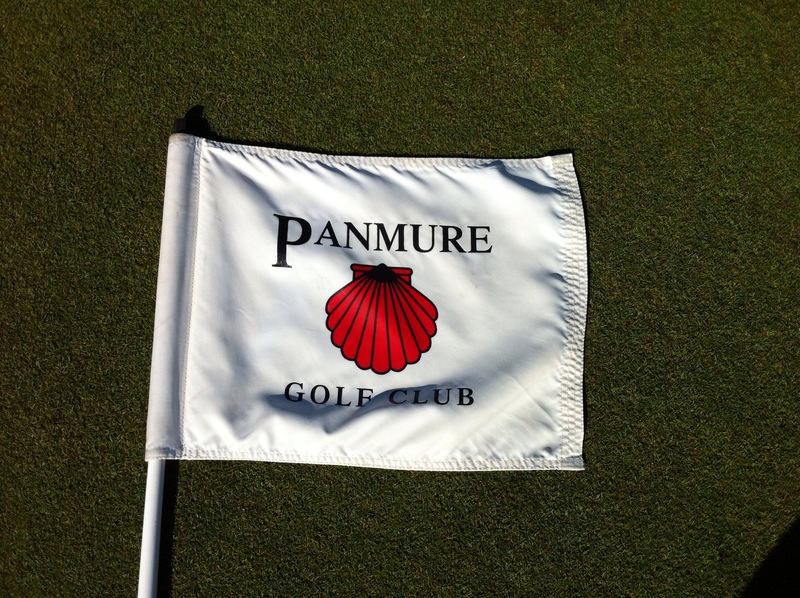 Panmure also has one of the finest clubhouses in Scotland, modelled spiritually on the Royal Calcutta Golf Club. We didn’t go into the clubhouse but apparently woman are not allowed in the main area – they have a separate lounge. David said that there was a story that the men’s changing rooms are too close to the main clubhouse and they had very low windows. To prevent the ladies blushing in case they caught a glimpse of a man getting changed they were not permitted in that area. Royal Calcutta Golf Club (RCGC) in Kolkata, India was established in 1829 and is the oldest golf club in India and the first outside Great Britain. It is the second-oldest golf club outside of Scotland. 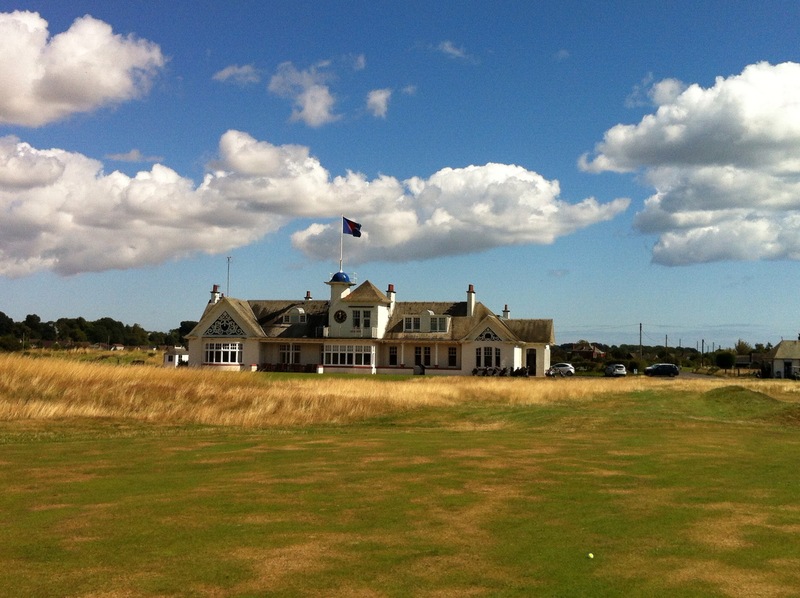 The oldest club outside Scotland is The Royal Blackheath in London, established in 1766. King George V and Queen Mary conferred the title “Royal” to the Club to commemorate their visit to Calcutta in 1911.